Like everything else in life, there are good general contractors and not so good general contractors. A general contractor is essentially a manager and ideally a manager with hands on experience in the construction field. Many people call themselves general contractors but not all have the training and expertise to manage a project efficiently and economically. It is perhaps for this reason that some general contractors have developed a reputation for being unreliable and short on integrity. Capital Construction is a general contractor with almost 40 years experience. We are recognized by the National Association of Home Builders ( NAHB ) as a Certified Green Builder ( CGB ). 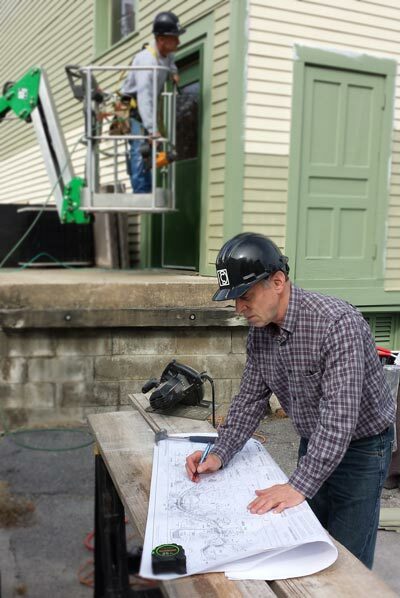 Our construction management skills have evolved over time due to continuing education and seminars hosted by the National Association of Home Builders, the United States Green Building Council ( USGBC ) and the American Lung Association Healthy House Program ( ALA ). Association with other general contractors through national and local organizations enhances our professionalism and opens up avenues to otherwise untapped resources that increases our knowledge and awareness of new technologies and management systems. We utilize the latest construction management systems based on a model formulated by Construction Specifications Institute Guidelines. This model integrates accounting and project management tasks and insures that none of the details fall through the cracks. Using our proprietary construction management system we can anticipate problems before they arise and assure the client that we will be on time and on budget. We strive to evolve as General Contractors in a world where good, better and best exist. Our goal, of course, is to be best and we believe that one route to that destination is through building green and by building it right the first time. If we build it right the first time we serve the needs of both Capital Construction and our clients and in the end raise the bar for all general contractors.